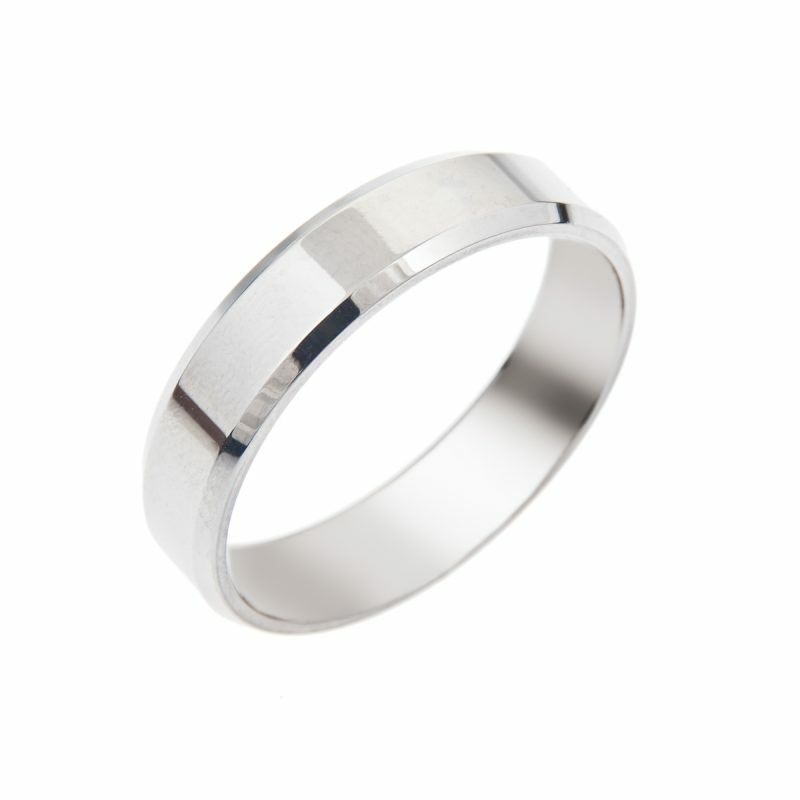 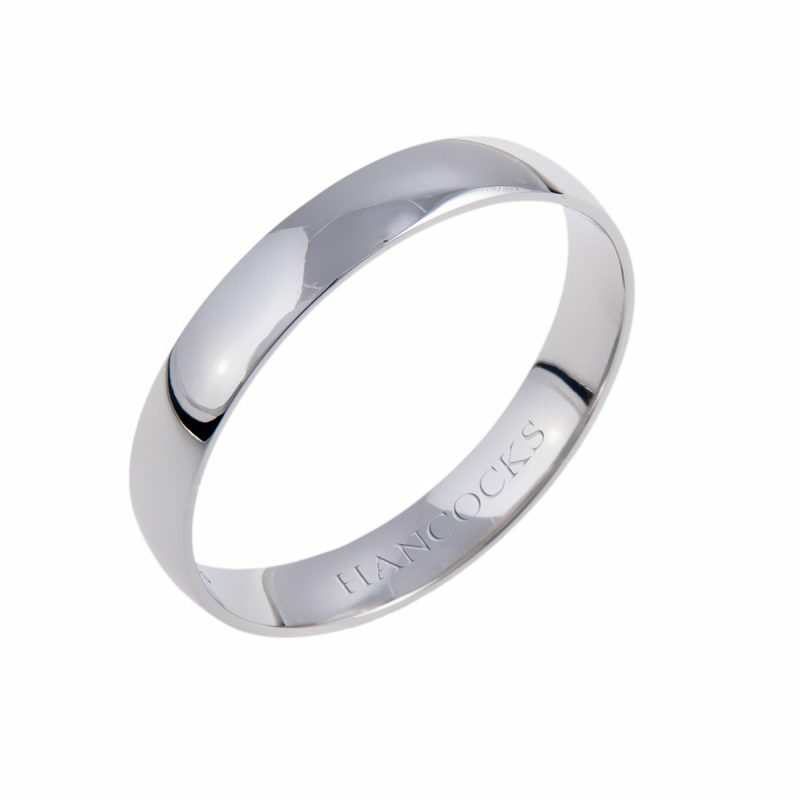 Gents platinum polished wedding band. 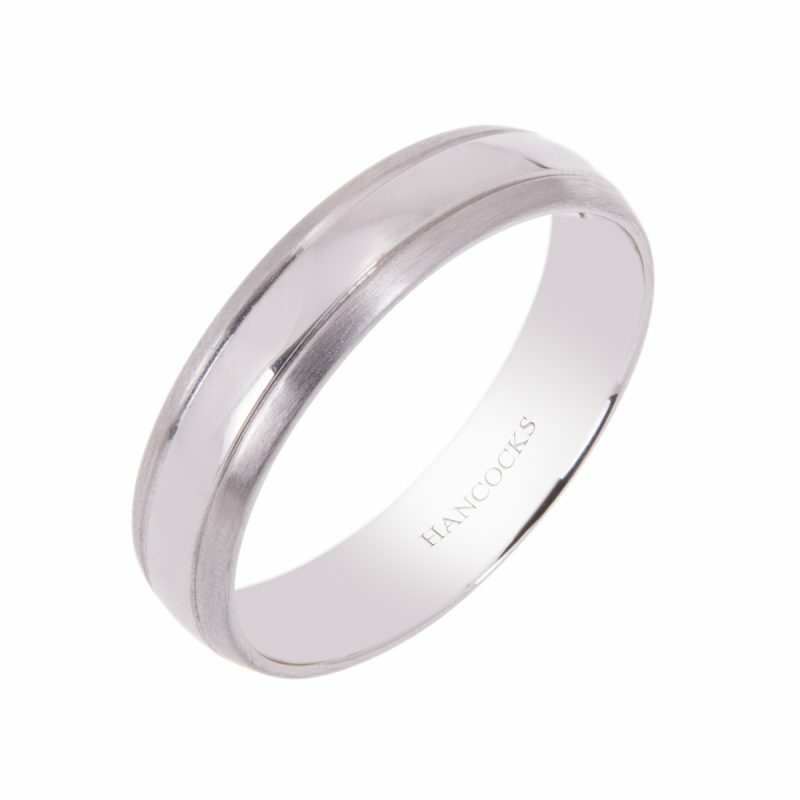 A modern and contemporary material, with its strong design gives a sleek and refined look to this special ring. 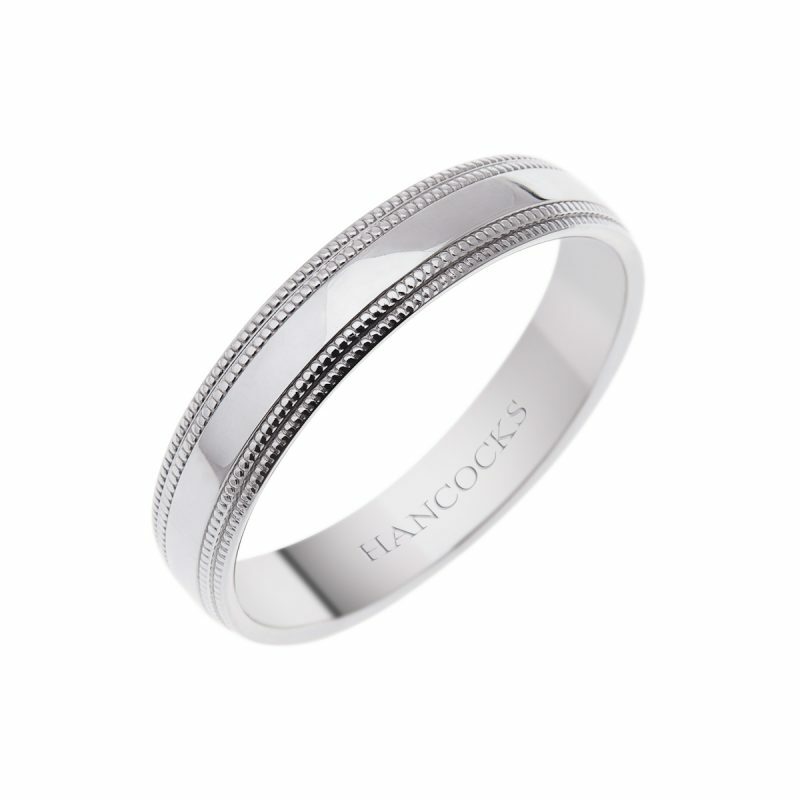 This subtle wedding band with is court shaped cross section, is perfect for his individual style, worn by the man who creates trends others follow.